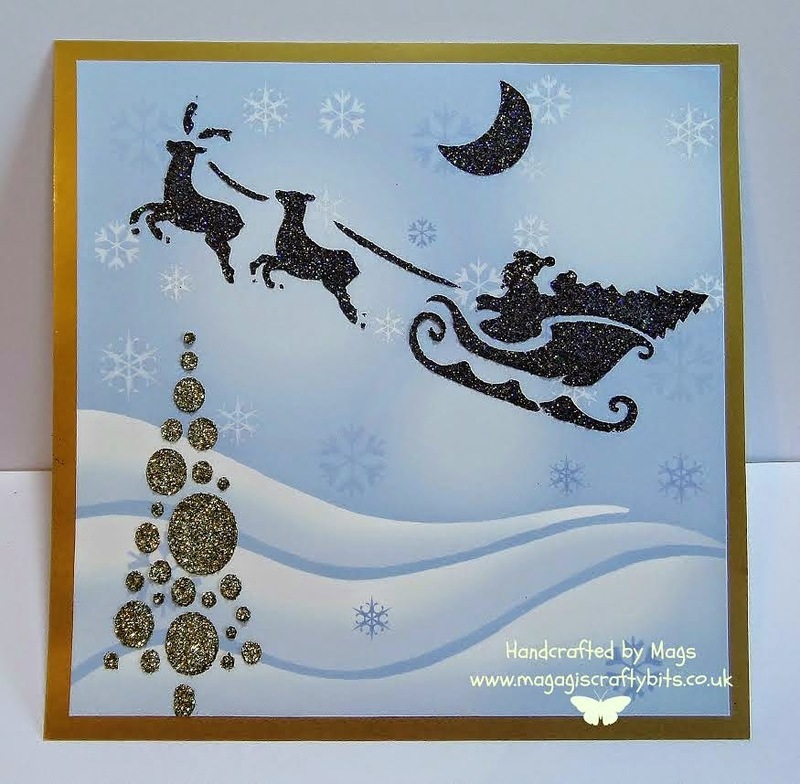 Have you seen the new dies that have been created, designed and developed by Tracey Dutton of Lavinia Stamps and Sue Baker of Imagination Crafts? 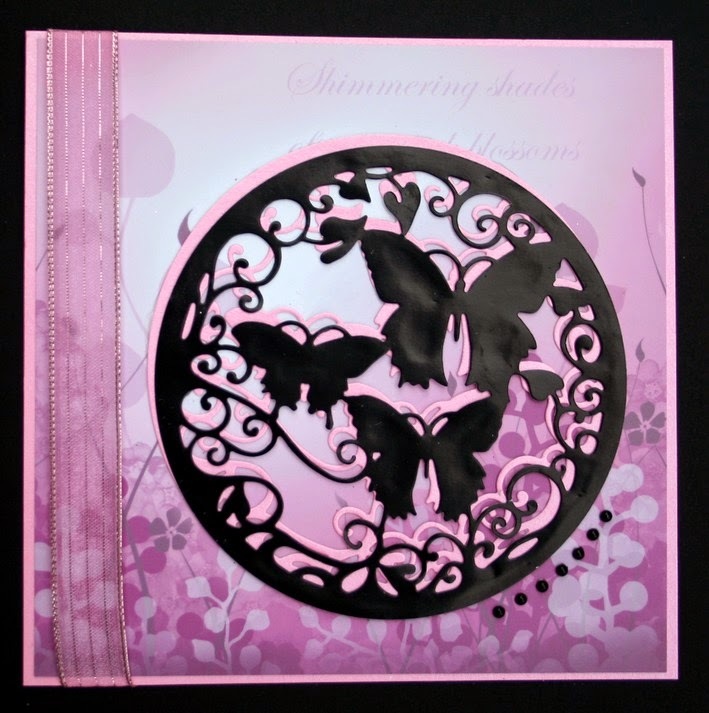 Here are a few samples that our Sue has made using these fabulous dies. 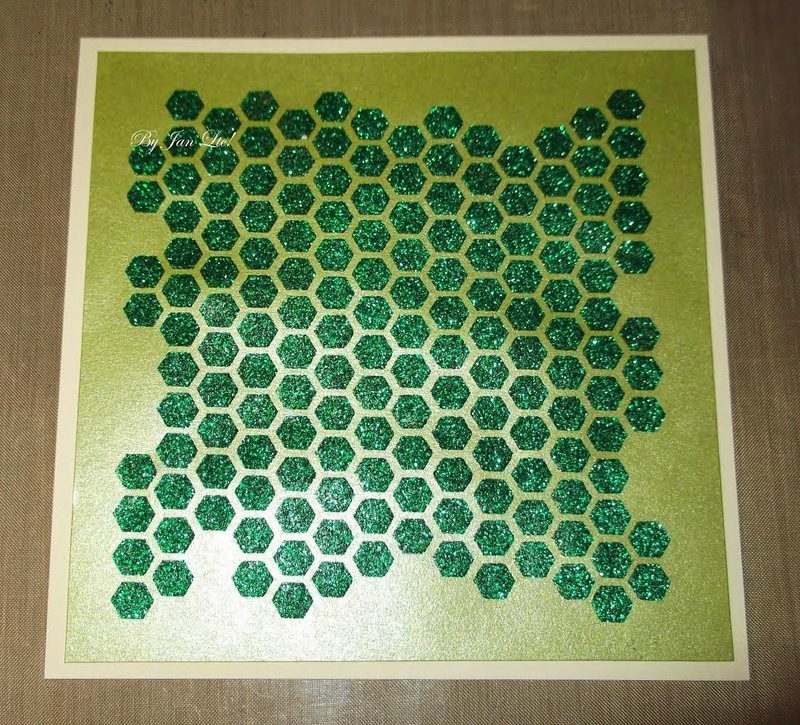 You can find the range of 23 dies on our website. Do you enjoy using inks, mixed media, paints, sparkle medium etc? If so you may be who we are looking for to join our design team. We are looking to recruit 9 new members to the team, the deadline to apply for the DT is Friday 17th October at 12 noon. 2. We require you to make 2 projects a month for the challenge blog, one will be for when the new challenge goes live and the second will be posted halfway through the challenge for inspiration. Our challenges are monthly. 4. 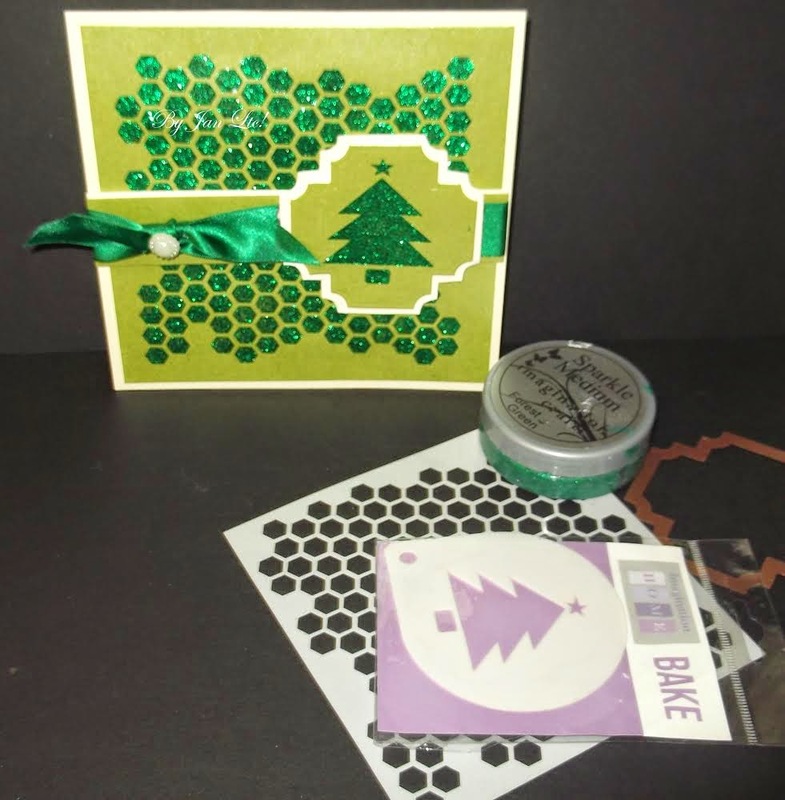 Once a month you will do a pictorial/You Tube tutorial for the Imagination Crafts blog, with a sneaky peak on your own blog, advertising the tutorial on the IC blog. 5. The period of being a member is 10 months and will start 1st December 2014 to 30th September 2015. 6. Promote Imagination Crafts on your blog. 2. 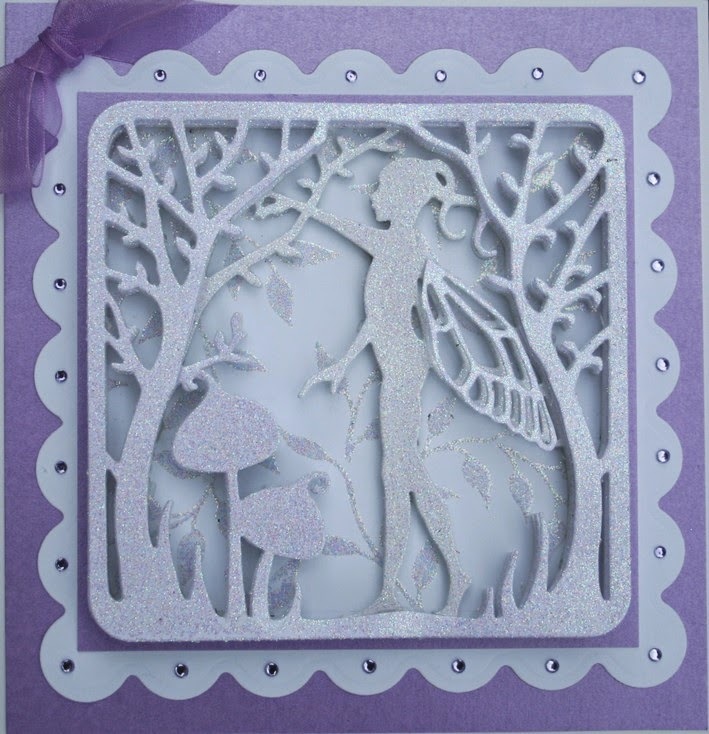 A discount off any Imagination Crafts product you buy on the website. 3 Your samples will be posted on the Imagination Gallery. 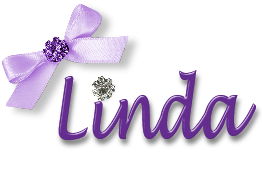 If you are interested, we would like you to make a sample/s using Imagination products, photograph the sample (about 2 good photographs from different angles) and email them to me (Linda) along with a small paragraph about yourself and a link to your blog. Please put as the subject heart in your email "Imagination Crafts DT Call". Only two more days for our DT Call. All information can be found here. 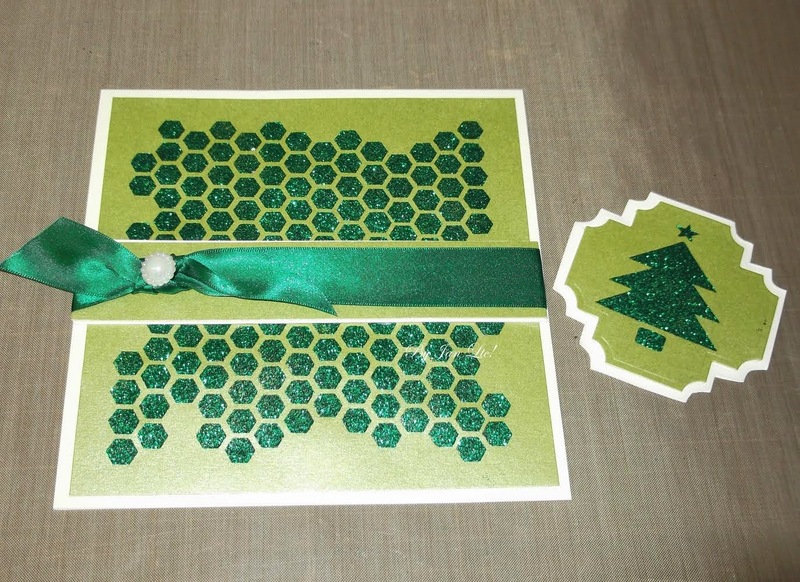 Today we have a Christmas card with a twist by Jan. 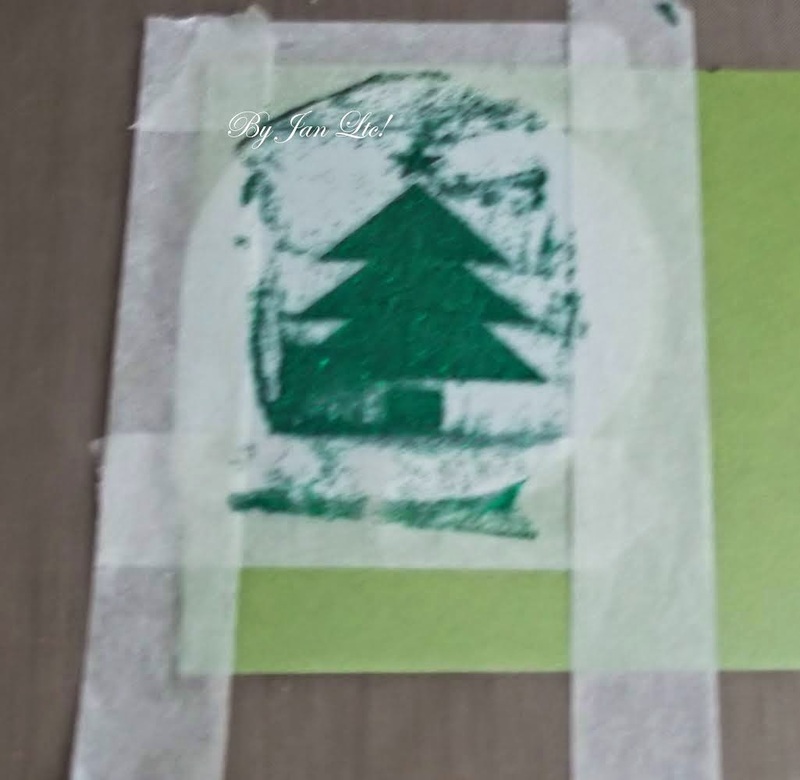 Tape down the tree stencil onto Apple Green Silk Card and spread Forest Green Sparkle Medium. Leave to Dry. 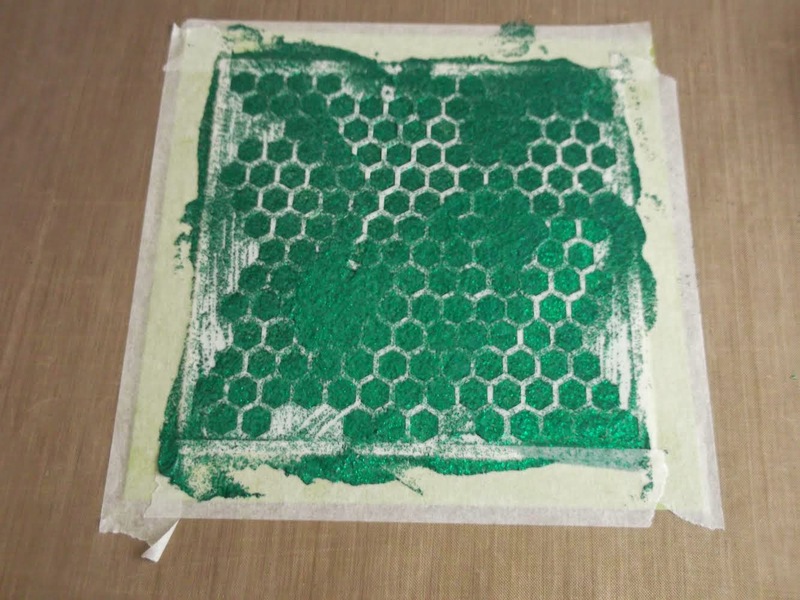 Using the Honeycomb Stencil again spread Forest Green Sparkle Medium onto Apple Green Silk Card. Once dry mat and layer onto white card. 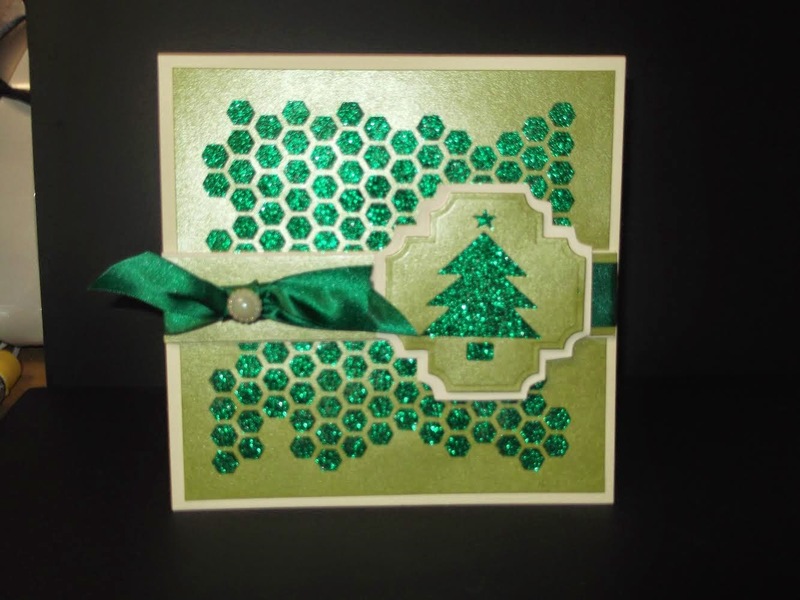 Using Spellbinder die shape cut out green matt then then emboss the cream card. Using the same shape cut around the outside edge to create an extra layer. Make a strip of cream and apple green silk card and wrap green ribbon around making a faux bow and add a pearl embellishments. 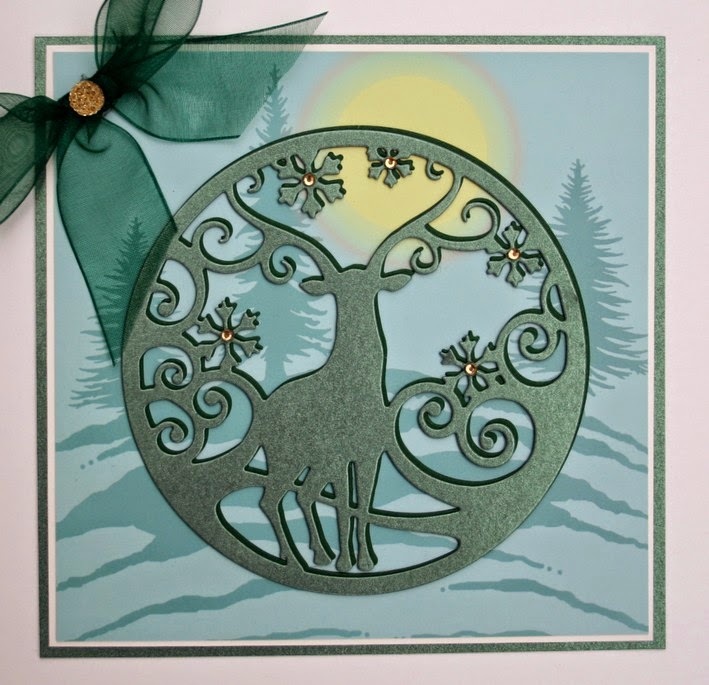 Mat and layer the tree topper onto your card. There you have it the finished card. Monday morning again, it sure is coming around pretty quick. Only 10 more Mondays before Christmas and the Design Team and I are all creating our Christmas Cards. How are you doing making your own? 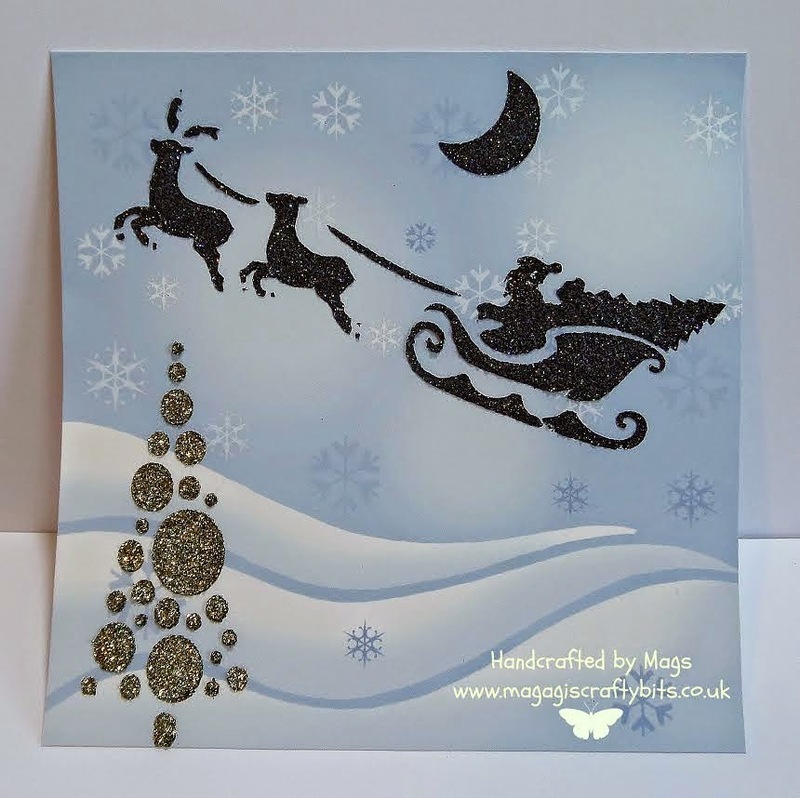 Today is a quick and easy tutorial from Mags to making those quick Christmas Cards that have the WOW factor. 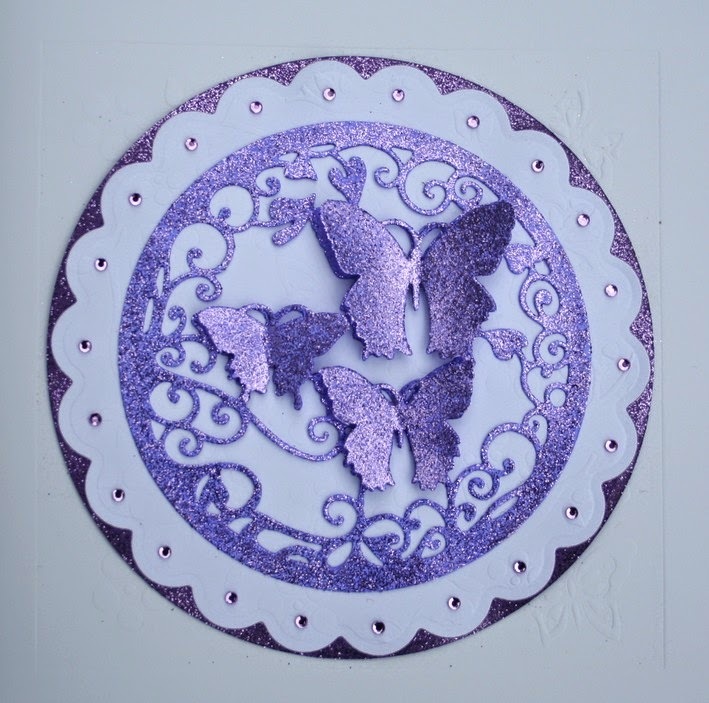 Use the sparkle medium and the stencils to create a little scene onto the patterned card. You could add more trees if you wanted but I liked it with just one. 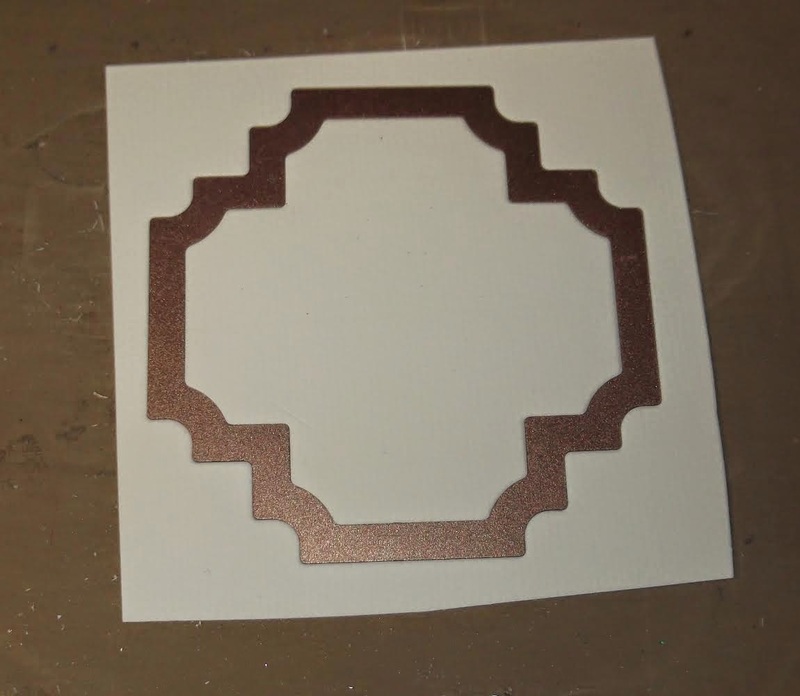 When dry matt the patterned card onto gold glossy card. 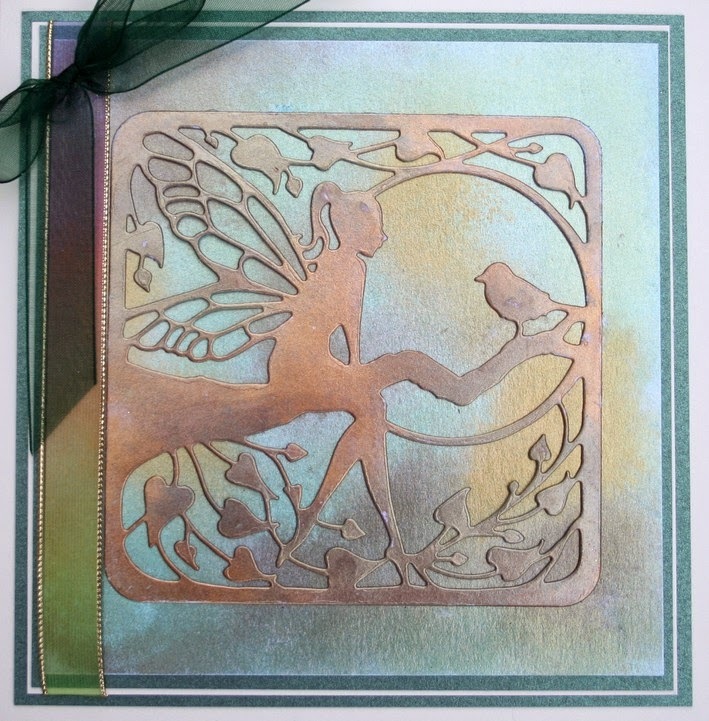 Wrap some gold ribbon around the bottom of the scene you have created and attach to the front of a square card blank. 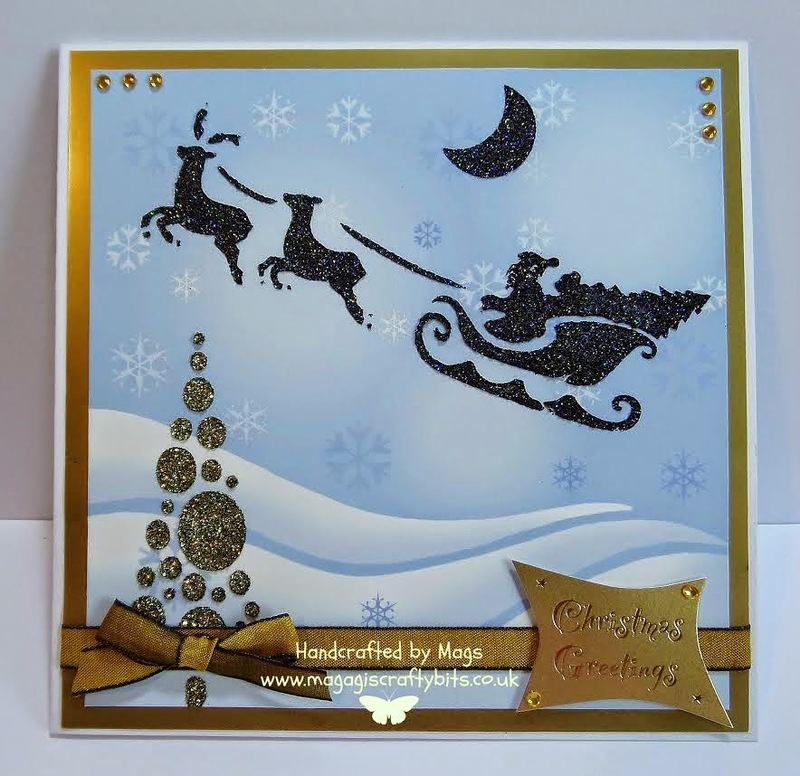 Add a bow, a sentiment and some gold gems to the top corners. 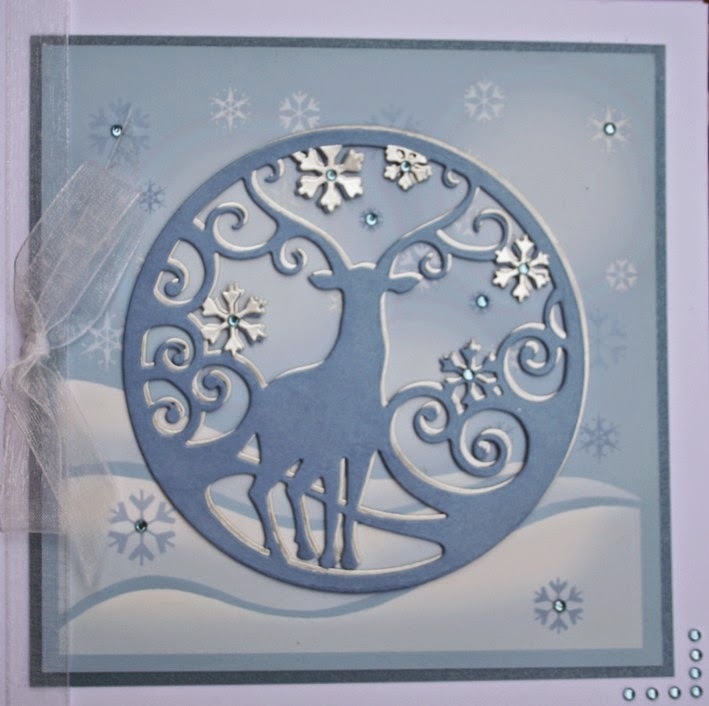 Don't forget to share your Christmas creations on our Facebook Page.